Sterlingwear Apparel, Proudly Made in Boston! The following "Res Publica" column appeared in the Friday, November 29, 2013, edition of the Post-Gazette, the Italian-American Voice of Massachusetts. If your household is anything like mine, you are still eating turkey leftovers as you read this week's Post-Gazette. As we finish off the culinary remains of Thanksgiving Day, I suggest we keep alive the sentiment of the holiday by maintaining a spirit of thankfulness. For 300 employees of Sterlingwear of Boston thanksgiving for a good paying, unionized job may be on their lists. Sterlingwear is a Massachusetts manufacturing success story. So successful that, when about a decade ago, the volume of business making coats and jackets exceeded the capacity of the East Boston factory. President and Chief Executive Officer Frank G. Fredella could easily have relocated to any number of cheap, practically abandoned, factories in distressed Fall River. That city would have been so happy to see him bring jobs that he could have negotiated substantial tax breaks. "I am an East Boston person," Mr. Fredella told me in a recent interview, "I went to grammar school in East Boston and my first part-time job at age 16 was in East Boston." When I met with Fredella and his Director of Sales and Marketing, Jack Foster, recently, I learned that the Fredella family, which started the business in 1965, passed on the opportunity to relocate and save money. They refused to consider laying off their talented and dedicated workers in Boston. Management can thank the workers as well. Their industriousness and skill has earned Sterlingwear one of the highest honors -- supplier to the United States Department of Defense. Since 1968 Sterling has been the supplier, to the U.S. Navy, of navy peacoats. They have several other military contracts as well, and, as anyone who knows anything about military or military-style apparel can tell you, certification as a Dept. of Defense contractor is the "gold standard" for that sector of the apparel market. The peacoats made for the U.S. Navy are made in Boston, of fabric woven in Massachusetts, of yarn spun in Massachusetts, of wool grown in the U.S. They have to be, because of a law, known as the Berry Amendment (U.S.C. Title 10, Section 2533a), which goes back to 1941 and was first enacted as part of America's preparation for World War Two which requires the Dept. of Defense to give preference American made products. In the case of clothing or textiles of wool, every stage of production from growing the wool to sewing the coat must take place in America. The quality of a Made in U.S.A. Sterlingwear peacock is appreciated around the world. Sterlingwear exports to our free trade partners Australia and Canada. In Japan, where consumers like anything America, Sterlingwear is very popular. And in a trade pattern Jack calls, "Getting some of our dollars back," Sterlingwear is exporting to China where the growing class of consumers with money to buy the best available are turning to high quality, American-made apparel. Sterlingwear has two retail shops, 175 William McClellan Highway in East Boston and Pheasant Lane Mall, 310 Daniel Webster Highway, Nashua, N.H. Or shop online at http://www.sterlingwear.com. When you buy a Sterlingwear product you are helping maintain jobs in Massachusetts! On November 27, 2013, in Geneva, U.S. Mission to the World Trade Organization Attaché Neil Beck delivered remarks regarding the WTO's first review Macedonia’s trade policies and practices. He praised the Republic of Macedonia’s progress and pursuit of economic reform over the past decade and commended the Republic of Macedonia for becoming the newest observer to the WTO Agreement on Government Procurement this past June, and expressed hope that it will consider becoming a full Member in the near future. With respect to the Republic of Macedonia’s EU candidacy process, Mr. Beck said the United States would appreciate more information on the extent to which Macedonia has adopted or harmonized its regulations with EU technical and sanitary and phytosanitary regulations affecting imports, including whether Codex, OIE and IPPC standards have been taken fully into account. Short Bark Industries Inc., Vonore, Tenn., has been awarded a maximum $10,835,538 modification (P00009) exercising the first one-year option period on a one-year base contract (SPM1C1-13-D-1005) with four one-year option periods for combat utility uniform blouses. This is a firm-fixed-price, indefinite-quantity contract. Locations of performance are Tennessee, Puerto Rico, and Mississippi with a Dec. 4, 2014 performance completion date. Kandor Manufacturing Inc., Arecibo, Puerto Rico, has been awarded a maximum $6,690,641 modification (P00009) exercising the first one-year option period on a one-year base contract (SPM1C1-13-D-1014) with four one-year option periods for combat utility uniform blouses. This is a firm-fixed-price, indefinite-quantity contract. Locations of performance are Puerto Rico and Mississippi with a Dec. 4, 2014 performance completion date. Using military service is Marine Corps. Type of appropriation is fiscal 2014 through fiscal 2015 defense working capital funds. The contracting activity is the Defense Logistics Agency Troop Support, Philadelphia, Pa.
Bethel Industries, Inc., Jersey City, N.J., has been awarded a maximum $13,967,796 modification (P00014) exercising the first one-year option period on a one-year base contract (SPM1C1-13-D-1015) with four one-year option periods for combat utility uniform trousers. This is a firm-fixed-price, indefinite-quantity contract. Locations of performance are New Jersey and Mississippi with a Dec. 4, 2014 performance completion date. Using military service is Marine Corps. Type of appropriation is fiscal 2014 through fiscal 2015 defense working capital funds. The contracting activity is the Defense Logistics Agency Troop Support, Philadelphia, Pa.
Andrew Trotta, Consumer Product Safety Commission Directorate for Engineering Sciences, will be attending a meeting of the Fire Protection Research Foundation (FPRF) Research Advisory Committee to discuss FPRF’s strategic plan on Tuesday, December 3rd at the National Fire Protection Association Headquarters, Quincy, Mass. The meeting is being organized by Kathleen Almand, FPRF. For additional information, contact Andrew Trotta, (301) 987-2057. Senator Rand Paul (Republican, Kentucky) on November 19 introduced an amendment to the Senate National Defense Authorization Act of 2014 which would remove current language mandating sourcing from Federal Prison Industries (FPI), bar FPI from contracts reserved for small businesses, and require, in the case of a contract that is subsequently reduced, that FPI's portion be reduced by the same percent as the overall reduction. These changes will be welcomed by some U.S. manufacturers, in particular small business (typically under 500 employees, but in some cases under 1,000 employees) who have, for many years, asserted that FPI has enjoyed an unfair advantage. SECTION 1082. PURCHASE OF PRISON-MADE PRODUCTS BY FEDERAL DEPARTMENTS. (2) in subsection (c), by striking ``subject to the requirements of subsection (a)'' and inserting ``that purchases such products or services of the industries authorized by this chapter''. SEC. 1083. PROHIBITION ON AWARD OF CERTAIN CONTRACTS TO FEDERAL PRISON INDUSTRIES, INC.. Notwithstanding any other provision of law, a Federal agency may not award a contract to Federal Prison Industries after competition restricted to small business concerns under section 15 of the Small Business Act (15 U.S.C. 644) or the program established under section 8(a) of the Small Business Act (15 U.S.C. 637(a)). SEC. 1084. SHARE OF INDEFINITE DELIVERY/INDEFINITE QUANTITY CONTRACTS. (a) In General.--Not later than 180 days after the date of the enactment of this Act, the Federal Acquisition Regulatory Council shall amend the Federal Acquisition Regulation to require that if the head of an executive agency reduces the quantity of items or services to be delivered under an indefinite delivery/indefinite quantity contract to which Federal Prison Industries is a party, the head of the executive agency shall reduce Federal Prison Industries's share of the items or services to be delivered under the contract by the same percentage by which the total number of items or services to be delivered under the contract from all sources is reduced. (2) the term ``Federal Acquisition Regulatory Council'' means the Federal Acquisition Regulatory Council established under section 1302(a) of title 41, United States Code. 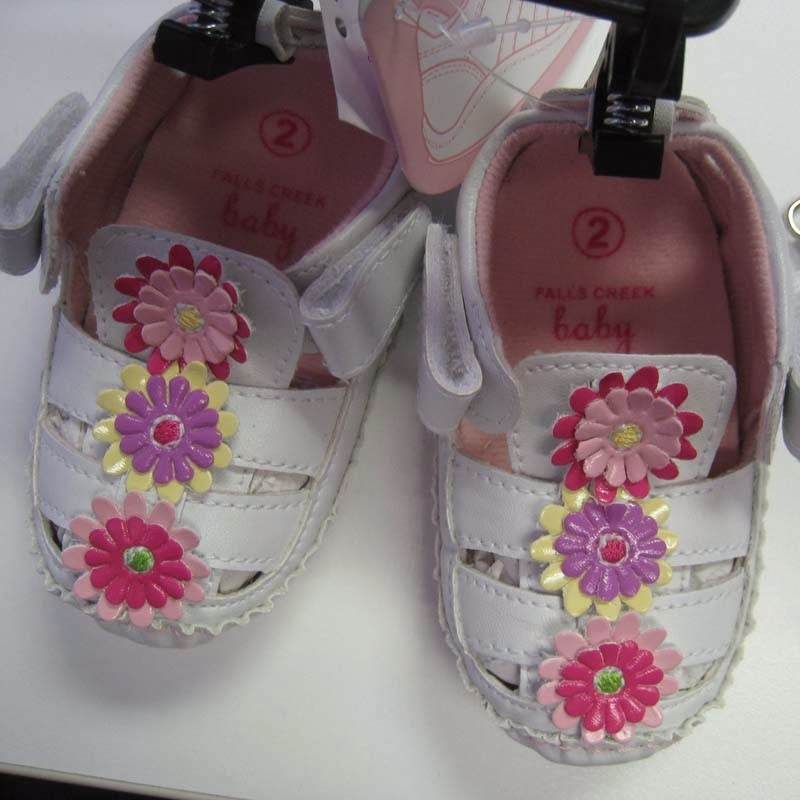 Description: This recall involves infant girl sandals sold under the Falls Creek Baby brand. The “Susan” style was sold in infant sizes 3 to 6 months, 6 to 9 months and 9 to 12 months. The white leather sandals have three pink, purple and yellow flowers on the top and a top strap that attaches to a hook and loop fastener on each side of the shoe. “Falls Creek Baby” and the size are printed on the inside of the shoe. Remedy: Consumers should immediately take the recalled sandals away from children and contact American Boy and Girl for a refund or replacement. Sold exclusively at Meijer Stores in Illinois, Indiana, Kentucky, Michigan and Ohio from April 2013 to July 2013 for between $6 and $9. Importer: American Boy and Girl (ABG), of Elizabeth, N.J.
Show Description: Held annually in Frankfurt, Germany, Heimtextil is the world’s preeminent and largest international trade show for home and contract textiles. It is the global benchmark for quality design textiles of innovative functionality. Heimtextil, held on four days in January, is a platform for manufacturers, retailers and designers. During this time, international exhibitors from around the globe will be presenting their products to trade visitors January 8-11, 2014. Visitors: Approximately 66,000 visitors from 128 countries came to Heimtextil 2013 trade show. According to the organizers at Messe Frankfurt, Heimtextil has succeeded in maintaining the number of visitors at a constant level despite the prevailing difficult economic climate. Exhibitors: Over 2658 exhibitors from 62 countries displayed at Heimtextil 2013. Amenities: The Office of Textiles and Apparel (OTEXA) of the U.S. Department of Commerce will feature a catalog/sample booth at Heimtextil 2014. Included in the package of services are the collections of leads that will be sent to each company in a spreadsheet after the show, promotion of samples on-site and the opportunity for pre- concurrent and post-show publicity for your company. Cost: OTEXA Sample Booth participation is $900 and limited to 5 US companies. For other companies who may seek to have their own independent booth, please contact Jennifer Bacon of Messe Frankfurt USA at: Tel: +1.678.732.2425 Fax: +1.770.984.8023, or Email: Jennifer.Bacon@usa.messefrankfurt.com. If you have any questions or would like to exhibit, please fax this form to Mary Lynn Landgraf at: (202) 482-2331, call her at 202-482-7909 or email her at Mary-Lynn.Landgraf@trade.gov. Hazard: The trigger assembly can fail resulting in the airbag not deploying, posing a risk of death and injury in the event of an avalanche. Contact: Backcountry Access (BCA) at (800) 670-8735 from 8 a.m. to 5 p.m. MT Monday through Friday or online at www.backcountryaccess.com and click on Safety Alert under Customer Service at bottom of the page for more information. Consumers can also send an e-mail to warranty@backcountryaccess.com. Description: This recall involves BCA Avalanche airbags, models Float 18, 22, 30, 32, 36 and Throttle. The airbags are used for skiing, snowmobiling and mountain climbing to help keep the user above the surface if an avalanche occurs. The airbags are yellow and are housed in a blue, red or black pack. The packs have the model name printed on them. “Float” and the “bca” logo are printed in black lettering on the airbag. Lot letters A through E are included in the recall. The lot letter can be found on the trigger handle. Remedy: Consumers should immediately stop using the recalled airbags and contact BCA for a free replacement trigger assembly. Sold at: Specialty outdoor stores worldwide and online at www.backcountryaccess.com from August 2011 through October 2013 for between $499 and $750. Distributor: Backcountry Access, Inc., of Boulder, Colo.
Agathon Associates, will be closed Thursday, November 28th, in celebration of Thanksgiving Day, a major holiday in the United States. The Pilgrims, Puritans, Huguenots, Quakers, Anabaptists, Lutherans, Jews, Catholics, deists, and atheists who came to America in the colonial period found here freedom not possible in the lands of the Old World where an established church was the norm. Their descendents founded the United States on a radical and untried principle—no religious establishment and no government interference with religion. What a surprise then to find that the very first Presidential Proclamation issued was Washington’s Thanksgiving Day call to prayer to Almighty God. Indeed, the only distinctly American holiday is the fourth Thursday in November, which we set aside to thank God for our blessings. Think about it. Christmas is celebrated worldwide, even in lands where Christians are a small minority. Every nation celebrates New Year’s Day and the various national holidays commemorating great leaders, important battles, and the date of national founding. Our distinctly American national holiday is a re-enactment—and re-interpretation for contemporary multi-ethnic and multi-religious American culture—of that first Thanksgiving in Plymouth, Massachusetts, celebrated by survivors of the Mayflower passage. And, yet, the story is not narrowly the tale of the Pilgrims. Few Americans are literally Mayflower descendents. Most of us do not trace our roots to East Anglia. Most of us do no follow their reformed Calvinist religion. Nevertheless, their story is the American story. It is the story of families that left their homeland for a better life in America. Did your people come here on sailing ships in the 17th, 18th, or 19th century? Or were they part of the big steamship migration of the late 19th and early 20th century that filled Boston with Irish and Italians? Or perhaps you are a more recent immigrant. Whenever your people came here and by whatever means, they, and you, are part of the narrative we re-tell every Thanksgiving. Description: This recall involves Little Willy’s brand children’s hooded sweatshirts sold in sizes XS (2 years), S (3 years), M (4-5 years), L (6-7 years), XL (8-9 years) and XXL (10 years). 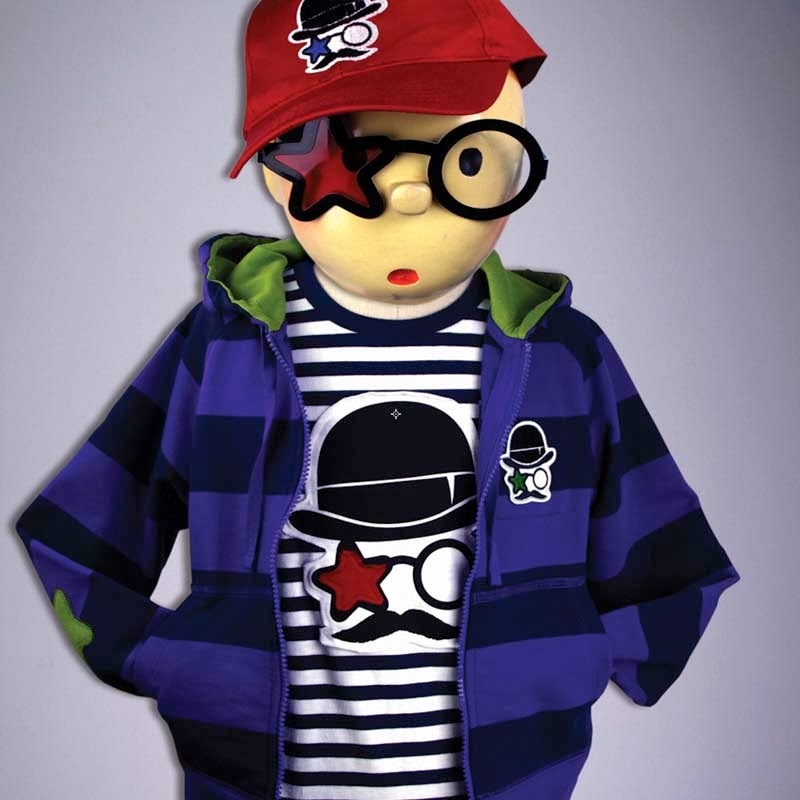 The cotton fleece sweatshirts were sold in two color patterns: dark grey with light grey stripes and a red hood, and purple with navy blue stripes and a green hood. The sweatshirt has an elbow patch on the right arm and the Little Willy logo on the front. Remedy: Consumers should immediately take the garments away from children. Consumers can remove the drawstrings to eliminate the hazard or return the garments to Little Willy’s to have the drawstring removed. Sold online at Zullily.com and Gilt.com from January 2012 to May 2012 for about $20. Distributor: Little Willy’s of, New York, N.Y.
Today’s blog is a review of some free internet resources available to find a patent. But I can make it easy: go to Google. When looking for a patent, start with Google Patents. This is the easiest and most forgiving website to use. If you have the patent, application, or publication number you simply enter it and the information will come right up. If you don’t have that information, you can enter the inventor’s or owner’s name and it is almost always on the first page. In a pinch you can enter a description of the invention because a lot of times you get lucky. As an example, I will use Patent # 8533976: Footwear Having an Enclosed Toe. I entered the following terms: 8533976, Fuerst Patent, Keen Inc Patent, and Footwear with Enclosed Toe. The patent came up as the 1st, 6th, 1st, and 2nd item. Google Patents best feature is that the patent is usually available as a pdf file. This is a big advantage over other websites when it comes to printing or navigating the actual document. Unfortunately, Google Patents casts its net broadly and can result in too many returns. For those situations I usually turn to the United States Patent and Trademark Office website which lists several patent databases. The first item is on the list is the full text database, PatFT. The PatFT database contains all patents issued since 1790 with full text capability for patents issued since. A front end interface allows simple incorporation of search terms. PatentLens: While a little complicated to use, PatentLens has advanced features that help when you have to dig deeper for a patent. PriorSmart: I rarely use this website, but it has some nice features if you can limit your search to a specific country. Patentscope and Espacenet: These European websites, especially Patentscope, are handy when an international patent is involved. The USPTO index provides links to these databases as well as database links to Japan, Korea, Australia and many other countries. GSPN: Available since July of 2013, the Global Searchable Patent Network is a cooperative database between the USPTO and China’s State Intellectual Property Office (SIPO). The database provides access to machine translations for Chinese applications and patents. One last thing to keep in mind is that there is a difference between finding a patent and a patent search. Knowing the patent number, inventor name or having some idea about the invention is a big advantage when trying to find a patent. The term patent search refers to a broader search intended to find ideas or inventions that are similar to an invention being considered for patenting. While the databases listed can be used, patent searches are more about discipline and technique than databases. Footwear Having an Enclosed Toe: A single piece block composed of a midsole and toe enclosure. It acts as a consistent integrated base that allows designers to make modifications without worrying about significantly affecting the basic fit and function of the shoe. Patent #: 8533976. Inventor: Fuerst. Assignee: Keen, Inc.
Quickly Releasable Vest: A vest made of several components held together with quick release buckles and tapes. A mechanism is incorporated into the system that allows the user to pull a cord which releases the tapes and allows the vest to be removed quickly. It is intended for emergency purposes, such as when a soldier falls into deep water, to allow quick removal of the weight. Patent #: 8533862. Inventor: Khandelwal. Assignee: MKU PVT Ltd. Stabilizing Garment System: A shirt and pants where spandex bands are incorporated directly into the garment following major muscle and ligament lines. The spandex provides compression along these line preventing sprains and strains. Patent #: 8533864. Inventor: Kostrzewski. Not Assigned. Article Having an Improved Closure Device: A button replacement that is easier to fasten and has locking capability to improve security. Patent #: 8533866. Inventor: Lindquist. Assignee: VF Jeanswear Limited Partnership. Shoe: A lightweight athletic shoe with a widened and rounded sole that allows better and faster side to side motion. The modified sole prevents the edge from getting caught and causing a “braking” effect that occurs when the force of the sideways motion is concentrated in the small edge area of a smaller soled shoe. Patent #: 8533977. Inventor: Kazushi, et. al. Assignee: Yonex Kabushiki Kaisha. Method and system for fastening footwear having releasably locking device(s): A looping device that shoe laces are intended to wrap around. Maintains the tension on the laces when in use but when removed releases the tension on the laces, quickly freeing up the shoe tongue to allow the foot exit. Patent #: 8533978. Inventor: Volin. Not assigned. Map for Footwear: A shoe designed to provide kinetic feedback for training. In its simplest form, the shoe has 4 protuberances spaced 90 degrees apart to provide the body feedback about the positioning and weight distribution of the foot. Patent #: 8533980. Inventors: Elbaz and Mor. Assignee: APOS—Medical and Sports Technologies Ltd. Method and Apparatus for Braiding Microstrands: A machine for braiding with lower tensions that is capable of braiding microstrands (including metallic strands) without breaking them. Patent #: 8534176. Inventor: Giszter, et. al. Assignee: Philadelphia Health & Education Corporation, Drexel University. Sewing Machine and Computer Program: Software and sensors for an embroidery machine that takes the height of the embroidery pattern into account when optimizing the sewing pattern, footprint, and resulting machine motion. Patent #: 8534209. Inventor: Hirata. Assignee: Brother Kogyo Kabushiki Kaisha. 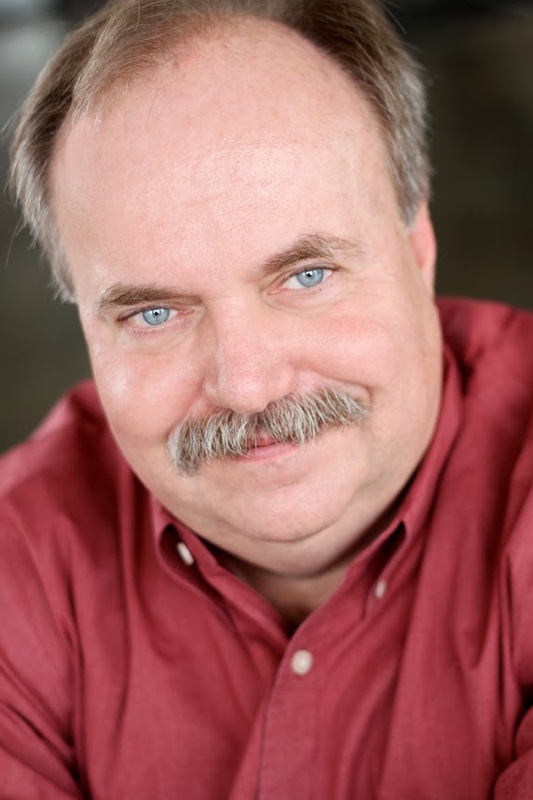 Jim Carson is a principal of RB Consulting, Inc. and a registered patent agent. He has over 30 years of experience across multiple industries including the biotechnology, textile, computer, telecommunications, and energy sectors. RB Consulting, Inc. specializes in providing regulatory, management and prototyping services to small and start-up businesses. He can be reached via email at James.Carson.Jr@gmail.com or by phone at (803) 792-2183. In response to requests from stakeholders, the Federal Trade Commission has extended the deadline for the public to submit comments on proposed changes to its Wool Products Labeling Rules as part of its systematic review of all current FTC rules and guides. The deadline to submit comments will be extended from November 25, 2013 to December 3, 2013. SUMMARY: Section 182 of the Trade Act of 1974 (Trade Act) (19 U.S.C. 2242) requires the United States Trade Representative (USTR) to identify countries that deny adequate and effective protection of intellectual property rights (IPR) or deny fair and equitable market access to U.S. persons who rely on intellectual property protection. (The provisions of Section 182 are commonly referred to as the ``Special 301'' provisions of the Trade Act.) The USTR is required to determine which, if any, of these countries should be identified as Priority Foreign Countries. In addition, USTR has created a ``Priority Watch List'' and ``Watch List'' under Special 301 provisions. Placement of a trading partner on the Priority Watch List or Watch List indicates that particular problems exist in that country with respect to IPR protection, enforcement, or market access for persons relying on intellectual property. Countries placed on the Priority Watch List are the focus of increased bilateral attention concerning the problem areas. In the 2013 Special 301 Report (www.ustr.gov), USTR announced that, in order to monitor progress on specific IPR issues, Out-of-Cycle Reviews would be conducted for El Salvador and Spain. At this time, USTR requests written submissions from the public concerning any act, policy, or practice that is relevant to the decision regarding whether El Salvador should be identified under Section 182 of the Trade Act. Requests for written submissions relating to the review of Spain will be made in a separate notice at a later date. DATES: Submissions from the general public must be received on or before 10:00 a.m. on Friday, December 13, 2013. Foreign governments who choose to make written submissions may do so on or before 10:00 a.m. on Friday, December 20, 2013. Requirements for Comments: Comments should include a description of the problems experienced by the submitter and the effect of the acts, policies, and practices on U.S. industry. Comments should be as detailed as possible and should provide all necessary information for assessing the effect of the acts, policies, and practices. Any comments that include quantitative loss claims should be accompanied by the methodology used in calculating such estimated losses. Comments must be in English. Hazard: The pajama pants fail to meet federal flammability standards for children’s sleepwear, posing a risk of burn injuries to children. Consumer Contact: The Bailey Boys, Inc. toll-free at (855) 809-4400 from 9 a.m. to 5 p.m. ET Monday through Friday or online at www.baileyboys.com and click on the Product Recall link on the bottom of the page for more information. Description: This recall involves The Bailey Boys’ children’s 100% cotton loungewear pants, sold in sizes toddler 2 through boys’ 12. All of the pajama pants have an elastic waistband with a white drawstring and a garment label that states “J.Bailey clothing for young men.” The pajama pants were sold in multiple prints including Chad-Ball red baseball print, Chad-Base two colored red baseball print, Chad-Boat light blue boat print, Chad Crab grey crab print, Chad-Golf light gray print, Chad-Santa green Santa Clause print, Chad-Sea grey blue seahorse print, Chad-Turtle dark blue turtle print and Chad-Turtle light blue turtle print. The website www.jbaileyclothing.com is printed on a hangtag attached to the garment. Remedy: Consumers should immediately take the recalled pajama pants away from children, and return them to The Bailey Boys, Inc. for a full refund. Sold at: Children’s boutiques nationwide from September 2012 through August 2013 for about $25. Importer: The Bailey Boys, Inc., located in Saint Simons Island, Ga.
On Tuesday, November 19th, several officials from the U.S. Consumer Product Safety Commission met with representatives of the (Upholstered Furniture Action Council (UFAC). The meeting served as introductory meeting and overview of the Upholstered Furniture Action Council (UFAC) and voluntary standards developed for the furniture industry. According to information on the UFAC website, www.ufac.org, "The Upholstered Furniture Action Council was founded in 1978 to make upholstered furniture more resistant to ignition from smoldering cigarettes which are the leading cause of upholstery fires in the home. Household fires from smoldering ignition have been reduced substantially since its inception. According to the latest figures there has been a 79.3% decline in the number of upholstered furniture fires from cigarette ignition." Excel Garment Manufacturing LTD., El Paso, Texas, has been awarded a maximum $7,125,286 firm-fixed-price contract for men's and women's rip-stop airmen battle uniform coats and trousers, maternity coats, and slacks. This contract is a competitive acquisition, and five offers were received. Location of performance is Texas with a Nov. 19, 2014, performance completion date. This contract is a one-year base period with four one-year option periods. Using military service is Air Force. Type of appropriation is fiscal 2014 through fiscal 2015 defense working capital funds. The contracting activity is the Defense Logistics Agency Troop Support, Philadelphia, Pa., (SPM1C1-14-D-1054). According to a report in the BeaverLake6 Report The Hosiery Association will be dissolved at the end of this year, ending that 108 year-old organization. What is Protected in a Patent? Usually, people talk about positive rights: the right to take action. Two examples of this right are the freedom to speak and to practice any religion. Patents are different: they are negative rights, which is the right to inaction or to compel others to take no action. A patent allows you to prevent others from taking action. Negative rights have to be specific. The right holder has to be able to say: "don’t do X." In patents, these statements are made through claims. While a patent can have several claims, each claim is evaluated separately. A patent is infringed if any one claim is infringed. a fabric shaped to cover at least a portion of a wearer's body, the fabric comprising a woven fabric made from a plurality of yarns, the yarns being made from a plurality of fibers, the plurality of fibers including inherently flame resistant fibers and cellulose fibers that have been treated with a flame resistant composition, the woven fabric having a herringbone weave. is shaped to cover a portion of a body. Claims are specific statements. All of these conditions must be true before this claim is infringed. A competing company could make this garment from knitted fabric without infringing on this claim. A competing company also could make a fire blanket from the described woven fabric without infringing on this claim. Also notice that claims don't describe inventions. That is done elsewhere in a patent. Claims describe the boundary of an invention. If you read the patent, you will find that it describes in great detail the fire resistant and celluose fibers that should be used, the relative weight of the fibers, how to dye and print the fabric, various weave patterns, and how to improve abrasion resistance and comfort. But these are only the details. The actual invention is a fire resistant garment. That is what was protected. Fire Resistant Fabric Made From a Fiber Blend: A fire resistant fabric made of yarns consisting of inherently flame resistant materials and cellulose fiber treated with a flame resistant composition. Patent # 8528120. Inventors: Underwood and Cantin. Assignee: International Textile Group, Inc. Protective Garment Including a Mesh Liner Layer: A layered firefighters suit that adds a mesh layer to the layers that are typically present (fire protection, insulation and moisture barrier layers). By using the mesh material, the bulk and weight of the insulating material is reduced making the suit more comfortable and less cumbersome. Patent #: 8516615. Inventors: DiGiovanni and Rousse. Assignee: Honeywell International, Inc.
High Heeled Bifunctional Pointe Shoe: A high heeled dance shoe modified to allow a dancer to go from on heel to an “on-pointe” or other ballet position. The intention of the shoe is to give a professional dancer (like ballroom) the look required for modern performances while allowing the dancer to incorporate ballet moves into the routine. Patent #: 8516717. Inventor: Bonilla-Espada. Assignee: Bonilla-Espanada. Articles of Footwear: A shoe with a groove cut in the sole. This groove allows the sole to bend in such a way that the toes will be bent up relative to the ball of the foot. Patent #: 8516721. Inventor: Mahoney. Assignee: Saucony IP Holdings, LLC. Shoe Tongue Centralizer: This is a post that runs a partial distance along the length of the tongue that is held in place by a band that is mounted at the top of the laces across the width of the tongue. Patent # 8516722. Inventor: Walker. No assignee. Method of Making an Abrasive Cleaning Glove: Method to directly manufacture (knit) a glove with an inlaid neilsbed piece providing abrasive properties to allow the glove to be used for cleaning. Patent #: 8516858. Inventor: Costello and Costello. No assignee. Loom and a Method of Controlling the Temperature of a Lubricant in Such a Loom: A (presumably high speed) loom with a second, separate, lubrication system for the shed forming mechanism. Since the shed system generates the highest power and friction, this separate system improves the effectiveness of the lubrication of the loom and the cooling of the lubricants themselves. Patent #: 8517060. Inventors: Champion and Communal. Assignee: Staubli Faverges. Lift Support Garment: Pants incorporating front, back and side straps along with an inner lining that allow care givers to safely lift elderly and disabled persons. Patent #: 8522364. Inventor: O’Brien. No assignee. Garment with Drawstring Closure: A two panel system for securing swim shorts with a drawstring. The invention appears to be targeted towards surfers but is broadly applicable for any sportswear where security of fit and closure is critical. Patent #: 8522365. Inventor: Geary. Assignee: Volcom, Inc. Protective Garment with a Vapor Skirt: This is a hazardous duty garment (e.g. firefighter’s coat) that can be fitted with a protective layer (skirt) to prevent hazardous vapors from leaking into the suit and injuring the wearer. Patent #: 8522368. Inventor: McIntosh, et.al. Assignee: Lion Apparel, Inc.
A new malware campaign surfaced in 2013 and is associated with an increasing number of ransomware infections. CryptoLocker is a new variant of ransomware that restricts access to infected computers and demands the victim provide a payment to the attackers in order to decrypt and recover their files. As of this time, the primary means of infection appears to be phishing emails containing malicious attachments. The malware has the ability to find and encrypt files located within shared network drives, USB drives, external hard drives, network file shares and even some cloud storage drives. If one computer on a network becomes infected, mapped network drives could also become infected. CryptoLocker then connects to the attackersâ€™ command and control (C2) server to deposit the asymmetric private encryption key out of the victim's reach. AAFA Offers Two Free Webinars on "Solving the U.S./Euro Market Puzzle"
The American Apparel and Footwear Association is offering two FREE webinars of interest to anyone doing, or interested in, trans-Atlantic trade. Exporting to the US on Monday, December 16. Exporting to the EU on Thursday, December 19. Bremen-Bowdon Investments, Bowdon, Ga., has been awarded a maximum $13,033,800 modification (P00009) exercising the third one-year option period on a one-year base contract (SPM1C1-10-D-1090) with four one-year option periods for men's Army blue dress coats. This is a firm-fixed-price contract. Location of performance is Georgia with a Nov. 14, 2014, performance completion date. Using military service is Army. Type of appropriation is fiscal 2014 defense working capital funds. The contracting activity is the Defense Logistics Agency Troop Support, Philadelphia, Pa.
William E. "Bill" Giblin, 78, passed away peacefully at his Tim's Point, Wareham, Massachusetts home, November 5th, surrounded by his loving family, after a long illness. Bill is survived by his wife Gabrielle (Coyne) Giblin with whom he shared 55 years of marriage. Bill is also survived by his four sons, David Giblin(Betsy), children Ryan and Grace of Jacksonville, FL, Karl Giblin, son Dylan of Wareham, Michael Giblin (Kathy), children Sean, Kaitlyn, Connor of Glastonbury, CT and Steven Giblin (Denise) children Brandan and Jayden of Norton and his sister Judith (Bill) Pittman and numerous nieces and nephews. Bill received from UMass Dartmouth both a Bachelor of Science in Textile Engineering in 1957 and an honorary Doctor of Business Administration in 2006 and generously gave of his time and resources to his alma mater, serving on the Textile Advisory council and the UMass Foundation Board. Bill was a vital leader in the textile industry nationally and a dedicated supporter and ardent advocate of UMass Dartmouth; his long and significant service helped shape the future of both. After graduation, Bill held a number of positions with companies in the textile industry, rising to the level of Vice President with Burlington Industries. Bill had retired as President and Chief Executive Officer of Tweave Inc. of Norton, Mass. Bill was a strong advocate for the U.S. Textile industry, playing a leadership role in numerous trade organizations, including serving as a member of the Board of Governors of the Northern Textile Association, and Chairman of the National Textile Association. Bill served as a Trustee of the University of Massachusetts from 1994 to 2004, in many capacities, including Vice Chairman of the Board. He was appointed to the Building Authority in 1996 and accepted the position of Chairman in 2004. On October 21st and 22nd American flock industry leaders gathered in Orlando, Florida for the association’s 28th annual meeting followed by participation in the combined Industrial Fabric Association International’s Specialty Fabrics Expo and the Specialty Graphics Industry Association trade show. Featured at this year’s meeting were presentations from an end user as well as presentations dealing with futuristic opportunities in flock. A full report of the event is available on the American Flock Association website www.flocking.org. The U.S. International Trade Commission (USITC) has launched four investigations to examine the impact that the African Growth and Opportunity Act (AGOA) trade preference program has had on the economies of sub-Saharan Africa and identify factors that have impacted trade, investment, and the economic climate of the region. As requested, the USITC, an independent, nonpartisan, factfinding federal agency, will conduct four investigations and provide four reports to the USTR. One report will be a public report, and three reports will be confidential. The first investigation, AGOA: Trade and Investment Performance Overview, will assess the impact AGOA has had on the economies of sub-Saharan Africa and identify factors that have impacted the trade, investment, and the economic climate of the region. In this report, the USITC will address AGOA trade performance, utilization, and competitiveness factors; AGOA's effect on the business and investment climate in sub-Saharan Africa; and the relationship between current or potential sub-Saharan African reciprocal trade agreements and the objectives of AGOA. This report will be submitted to USTR on April 17, 2014, and will be released to the public soon thereafter. The second investigation, AGOA: Economic Effects of Providing Duty-Free Treatment for Imports, will assess the economic effects of providing duty-free treatment for AGOA imports on U.S. industries and consumers. This report will be confidential and will be delivered to USTR on April 17, 2014. The third investigation, U.S. AGOA Rules of Origin: Possible Changes to Promote Regional Integration and Increase Exports to the United States, will identify possible changes to the rules of origin under AGOA with the potential to increase exports from AGOA-eligible countries. This report will be confidential and will be delivered to USTR on April 30, 2014. The fourth investigation, EU-South Africa FTA: Impact on U.S. Exports to South Africa, will assess the impact of the EU-South Africa free trade agreement on U.S. exports to South Africa. This report will be confidential and will be delivered to USTR on April 17, 2014. The USITC will hold one public hearing in connection with the four investigations on January 14, 2014. Requests to appear at the hearing should be filed no later than 5:15 p.m. on December 13, 2013, with the Secretary, U.S. International Trade Commission, 500 E Street SW, Washington, DC 20436. For further information, call 202-205-2000. The USITC also welcomes written submissions for the record for all four investigations. Written submissions should be addressed to the Secretary of the Commission at the above address and should be submitted at the earliest practical date but no later than 5:15 p.m. on January 21, 2014. All written submissions, except for confidential business information, will be available for public inspection. Further information on the scope of the investigation and appropriate submissions is available in the USITC's notice of investigations, dated November 13, 2013, which can be obtained from the USITC Internet site (www.usitc.gov) or by contacting the Office of the Secretary at the above address or at 202-205-2000. The second round of negotiations for a Transatlantic Trade and Investment Partnership (T-TIP) yesterday reached its midway point. While the beginning of the week was devoted entirely to talks on services and investment, negotiating groups in the regulatory area began their meetings today, starting with discussion of sectoral regulatory issues. These will be followed tomorrow by negotiations on regulatory coherence and on energy and raw materials. EU Chief Negotiator Ignacio Garcia-Bercero and U.S. Chief Negotiator Dan Mullaney will conclude the week with stakeholder and journalist briefing sessions on Friday, 15 November to present the progress achieved during the week. According to an article in Furniture Today, "Textile Fabric Associates, a unit of the Swavelle/Mill Creek Fabrics Group, has agreed to acquire all of the residential-based intellectual property of the Craftex and Quaker fabric lines from The Victor Group, a Quebec-based textile resource." The Bureau of the Census (Census Bureau) is conducting the 2014 Annual Surveys in the Manufacturing Area. The 2014 Annual Surveys consist of the Annual Survey of Manufactures, the Business R&D and Innovation Survey (BRDIS), and the Manufacturers' Unfilled Orders Survey. The Census Bureau will furnish report forms to organizations included in the surveys. Additional copies are available upon written request to the Director, U.S. Census Bureau, Washington, DC 20233-0101. The Annual Survey of Manufactures collects industry statistics, such as total value of shipments, employment, payroll, workers' hours, capital expenditures, cost of materials consumed, supplemental labor costs, and so forth. This survey is conducted on a sample basis, and covers all manufacturing industries, including data on plants under construction but not yet in operation. All data items are collected on a mandatory basis under the authority of Title 13, United States Code. The Business R&D and Innovation Survey (BRDIS) measures spending on research and development activities by United States businesses. This survey replaced the Survey of Industrial Research and Development that had been collected since the 1950's. The BRDIS collects global as well as domestic spending information, more detailed information about the R&D workforce, and information regarding innovation and intellectual property from U.S. businesses. The Census Bureau collects and compiles this information in accordance with a joint project agreement between the National Science Foundation (NSF) and the Census Bureau. The NSF posts the joint project's information results on their Web site. All data items are collected on a mandatory basis under the authority ofTitle 13, United States Code. The Manufacturers' Unfilled Orders Survey collects data on sales and unfilled orders in order to provide annual benchmarks for unfilled orders for the monthly Manufacturers' Shipments, Inventories, and Orders (M3) survey. The Annual Survey of Manufactures (ASM) provides annual benchmarks for the shipments and inventory data collected in the M3 monthly survey. The Manufacturers' Unfilled Orders Survey data will also be used to determine whether it is necessary to collect unfilled orders data for specific industries on a monthly basis; some industries are not requested to provide unfilled orders data on the M3 Survey. All data items are collected on a mandatory basis under the authority of Title 13, United States Code. Consumer Contact: Babycottons toll-free at (855) 922-2437 from 9 a.m. to 5 p.m. ET Monday through Friday or online at www.babycottons.com and click on the Product Recall link on the bottom of the page for more information. Description: This recall involves Babycottons children’s 100% cotton nightgowns sold in sizes 24 months through toddler size 6. The nightgowns were sold in six prints including Alphabet (style 1413W245), BC Flowers (style 1413S220), Fairies (style 1413W125), Fairies Dots (style 1413W127), Mei Mei (style 1413S200) and Summertime (style 1413S190). The style numbers are printed on a hangtag attached to the garments. The white Alphabet gown has long sleeves with an alphabet print and image of an item beginning with that letter. The white and peach BC Flowers gown has the initials “BC” printed in the middle of the chest with a flower vines print. The white Fairies gown has long sleeves white pink fairies. The Fairies Dots gown has long sleeves with a white polka dot and solid pink background and a fairy applique in the center with a white ribbon. The white and pink polka dots Mei Mei gown has short sleeve with two girls printed on the center of the chest. The white Summertime gown has short sleeves with girls swimming in a coral and fish print. All of the gowns have ruffles on the sleeves, neck or bottom. Remedy: Consumers should immediately take the recalled nightgowns away from children and return to Babycottons for a full refund. Sold exclusively at: Babycottons boutiques nationwide from February 2013 through July 2013 for $48. Importer: Babycottons, of Miami, Fla. Hazard: The pajama sets fail to meet the federal flammability standard for children’s sleepwear, posing a risk of burn injuries to children. Consumer Contact: L.L. Bean at (800) 555-9717 from 8 a.m. to 10 p.m. ET Monday through Friday or online at www.llbean.com and click the bottom right of the homepage “Product Recall & Safety Info” for more information. Description: The recall includes Girl’s or Little Girl’s jersey knit aurora purple pajama sets sold by L.L. Bean. The sets have a solid purple top with long sleeves and purple pants with a pattern and a solid purple waistband. The pajamas were sold in girls sizes small (size 8) through extra large (size 18) and little girls sizes small (size 4) through large (6X/7). The pajamas product ID numbers included in the recall are 284889 and 284890 printed on the second side seam label under the care label. GPU#6 is also printed on the garment label located on the inside left seam near the bottom of the pajama top. L.L. Bean is printed inside the back of the neck of the garment. Sold at exclusively at: L.L. Bean retail stores nationwide from June 2013 through September 2013 for about $30. If you have an invention that is useful novel and not real obvious, the United States Government wants to make a deal. And that's the secret to reading a patent. Because underneath all the details, cross-references, incorporations, and legalese is a deal. We all know the deal: share with the government how to make and use your invention and the government will grant you an exclusive right to use your invention for 20 years. Fortunately, it is not quite that simple. The United States Patent and Trademark Office issues approximately 5000 patents a week and to do that efficiently, a patent application has to meet specific requirements. And three of these requirements, Drawings, Enablement, and Claims are the key to reading a patent. Always make the drawings your first stop. They show you exactly what the invention is and many times that is enough for your purpose. If the drawings are confusing, go to the Brief Description of the Drawings section to get your bearings. Enablement is the term the USPTO uses for the description of how to make and use the invention. This information will be in the Summary and Detailed Description sections. The Summary will describe the purpose and operation of the invention. The Detailed Description is where the nuts and bolts (often literally) of the invention will be. The trick to reading these sections is to read for the concept instead of the details. While the details and legalese are important, they are intended for judges, not people. Once you learn to filter out the details, often in the form of lists, you will find concepts come through quickly. Even if you want to know the details, read for the concept first. The details are easier to digest in the second reading. If you are having trouble finding the concept, scan the Background section. This will often provide the missing context that helps make sense of things. Finally, every patent has to include a least one claim. A claim is a specific statement of the circumstances that would infringe on the patent. This is where inventors tip their hand. Because an applicant pays for each claim, they will try to limit costs by focusing on what they believe are the important aspects of their invention. That tells you what makes the invention unique. Impact Shock Absorbing Material: A lightweight flexible and shock absorbent material made of a shear thickening material that becomes rigid on impact diffusing the impact energy over a broad area. The potential uses include helmets, sports gears and headbands. Testing shows that Peak Resultant Head Deceleration in standing falls and bed falls was 63% of similar unprotected falls. Patent #: 8510863. Inventor: Ferguson. No assignee. Golf Gloves: Golf gloves equipped with a dial that allows silent adjustment of the glove. Patent #: 8510866. Inventor: Mizumoto. No assignee. Shirt Having a Form Fitting Midsection: A shirt with panels incorporated to provide a slimming effect for the wearer. In one implementation, the shirt is form fitting with lateral panels designed to minimize “love handles.” In a second implementation, the shirt has an inner and outer shell where the inner shell provides a greater degree of minimization which is hidden from view by the outer shell. Patent #:8516614. Inventor: Karasina. No assignee. Duty Belt System. A system for improved weight distribution on a duty belt and reliably fastening the belt to the wearer so it does not detach inadvertently. Patent #: 8510868. Inventors: Mongan, et. al. No assignee. Holographic Patterned Heat Management Material: Material made with holographic patterns that can be designed and customized to conduct heat away from the body or reflect heat towards the body depending on the garment’s intended use. Primarily intended for sportswear and sporting goods. Patent #: 8510871. Inventors: Blackford and Mergy. Assignee: Columbia Sportswear North America Inc.
Hydroengorged Spunmelt Nonwovens: A method of making spunmelt nonwoven material. Compared to standard methods, this method decreases bond fusion area to less than 10%, increases thickness by 50% and maintains 75% of the original tensile strength. Patent #: 8510922. Inventors: Turi and Kauschke. Assignee: First Quality Nonwovens, Inc.
Dual Zipper Boot Construction Method and System: The primary zipper secures the boot while the second zipper customizes the fit and reduces the stress on the boot stitching. Patent #: 8510972. Inventor: Bizzo. Assignee: Aerogroup International Holdings, LLC. Foldable Footwear: A shoe with modifications to the insole and outsole to allow the shoe to be folded into a “U” shape for easy packing. Patent #: 8510975. Inventor: Krikelis. No assignee. Synthetic Rope Formed of Blend Fibers: A series of rope designs using two different types of yarns or fibers to optimize cost and various performance levels. Patent #: 8511053. Inventors: Chou, et. al. Assignee: Samson Rope Technologies, Inc. Method of Assembling Filaments and Bundle of Filaments Obtained by the Method: Technology for making sheathing for fiber optic cables. The invention applies pretension to the filaments feeding to the sheath winding process. This prevents twisting and reduces weight variation per length of filament bundle. Patent #: 8511054. Inventors: Lee, et. al. Assignee: Kolon Industries, Inc.
Tubular Structure and Method for Making the Same: A method of braiding a wave pattern into the surface of a tube. This improves radial strength, collapse and kink resistance along with other physical parameters of the product. Patent #: 8511214. Inventor: Gries. Assignee: AGA Medical Corporation. Agathon Associates is happy to announce that Jim Carson, principal of RB Consulting, Inc. and a registered patent agent, will be posting on Textiles and Trade Blog on patent filings and related intellectual property topics of interest to textile and apparel producers. Jim has over 30 years of experience across multiple industries including the biotechnology, textile, computer, telecommunications, and energy sectors. RB Consulting, Inc. specializes in providing regulatory, management and prototyping services to small and start-up businesses. Jim can be reached via email at James.Carson.Jr@gmail.com or by phone at (803) 792-2183. The U.S. and EU negotiators met yesterday in Brussels for the first day in a second round of talks to foster progress in the Transatlantic Trade and Investment Partnership (T-TIP). According to the Office of the United States Trade Representative, "The beginning of the week will be devoted to discussions on investment rules and trade in services. The teams of negotiators will continue working on those topics during the course of the week, as other negotiators meet to discuss a range of regulatory issues, including regulatory coherence, technical barriers to trade, and sectoral approaches, as well as energy and raw materials, supplemented by video conferences on sanitary and phytosanitary measures and other topics." Due to the lapse in appropriations and resulting furlough, the Commission has rescheduled the Washington, DC, public hearing in this investigation to 9:30 a.m. on November 20, 2013. The Commission has also changed the dates for filing requests to appear, pre-hearing briefs and post-hearing briefs relating to the Washington hearing; for filing all other written submissions, and for transmitting the final report to USTR. The Washington, DC, hearing was previously scheduled for October 8, 2013, with post-hearing briefs and all written submission due by October 15, 2013, and a transmittal date of January 31, 2014. November 12, 2013: Deadline for filing requests to appear at Washington hearing. November 13, 2013: Deadline for filing pre-hearing briefs and statements. November 20, 2013: Public hearing. December 2, 2013: Deadline for filing post-hearing briefs. December 2, 2013: Deadline for filing all other written submissions. February 28, 2014: Transmittal of Commission report to the USTR. Hazard: The jackets have drawstrings in the hood around the neck area that pose a strangulation hazard to young children. In February 1996, CPSC issued guidelines about drawstrings in children's upper outerwear. In 1997, those guidelines were incorporated into a voluntary standard. Then, in July 2011, based on the guidelines and voluntary standard, CPSC issued a federal regulation. CPSC's actions demonstrate a commitment to help prevent children from strangling or getting entangled on neck and waist drawstrings in upper outerwear, such as jackets and sweatshirts. Consumer Contact: Vans Inc. at (800) 817-0618 anytime or online at www.vans.com and click on Recall Info for more information. Description: This recall involves Vans’ AV Edict hooded jackets for boys. 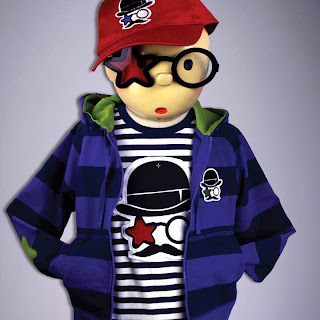 They were sold in boy’s sizes S, M, L and XL and made from black cotton or black canvas with a drawstring through the hood. “Vans®” is printed on a tab above the jacket’s left front pocket. An intertwined “AV” logo is embroidered in black beneath the lower right pocket and also appears on the jacket’s snaps. “Vans®,” “OFF THE WALL®” and an intertwined “AV” logo is sewn on a label inside neck of the jacket. API, LLC, Comerio, Puerto Rico, has been awarded a maximum $32,859,542 modification (P00011) exercising the second one-year option period on a one-year base contract (SPM1C1-12-D-1006) with three one-year option periods for duffel bags. This is a firm-fixed-price, indefinite-delivery/indefinite-quantity contract. Location of performance is Puerto Rico with a Nov. 8, 2014, performance completion date. Using military services are Army, Navy, Air Force, and Marine Corps. Type of appropriation is fiscal 2014 defense working capital funds. The contracting activity is the Defense Logistics Agency Troop Support, Philadelphia, Pa.
On Monday, November 4th, David Trumbull addressed the Second Annual Convention of the European Textile and Apparel Federation on the Transatlantic Trade and Investment Partnership, his prepared slides are available by CLICKING HERE. The United States and European Union will hold the second round of Transatlantic Trade and Investment Partnership (T-TIP) negotiations with meetings and digital video-conferences scheduled to take place over the next several weeks. From November 11-15, negotiators will meet in Brussels to cover services, investment, energy and raw materials, and regulatory issues. U.S. and EU teams will conduct negotiations on other areas of T-TIP negotiations by digital video-conference throughout November. These negotiating sessions replace those originally scheduled for October 7-11, which were postponed due to the shutdown of the U.S. government. A negotiating session on government procurement took place in October, just prior to the shutdown. The third round of negotiations will be held December 16-20 in Washington D.C.
To my clients and followers: I shall be in Berlin for the week of November 3rd. With the time difference and possible connectivity problems I may not be able to respond immediately to phone calls and emails.